My work at home journey has taken many a twist and turn down the path, and I’ve often battled over the choice of freelance writing versus blogging. Which one was better? And why? Truth be told, I love both but for very different reasons. Both offer flexibility and opportunity for future growth. Either one can be a full-time career or a part-time side hustle. Both are challenging, demanding careers and both can be rewarding. And they often go hand in hand. Unfortunately, most of us just don’t have enough time in the day to do both full-time — so we end up having to make that painful decision. Do we choose to stay with freelance writing? Or do we move over to blogging full-time? 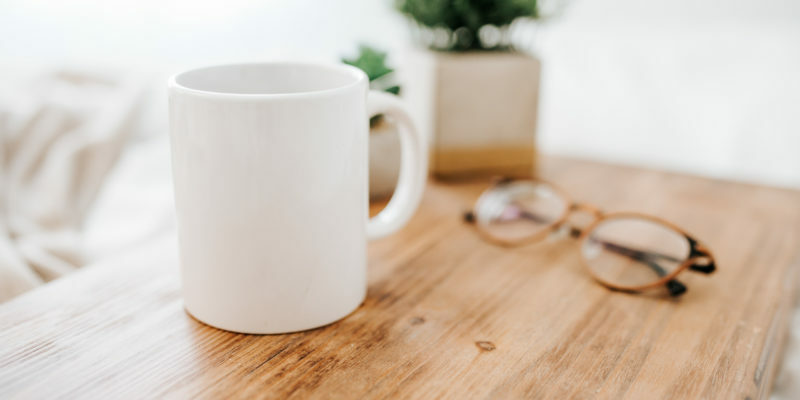 So I’ve put together this list of pros and cons for both freelance writing and blogging so you can compare for yourself and make a choice that’s best for you. Freelance writing can be a lucrative career. At my peak, I was clearing several thousand dollars per month completing projects for clients. These projects ranged from ghostwriting entire novels to editing blog posts. Publishers and businesses today are always on the lookout for good writers — and if you can write fast then that’s an added bonus to them. Additionally, I found that most publishers were willing to pay higher rates for higher quality of writing that would require less editing later. So being able to deliver near publish-worthy content in a timely manner meant I could charge more money. Additionally, freelance writing, as a career, is here to stay. Blogs are becoming more and more important to businesses, and because of that businesses are starting to develop larger budgets to dedicate to their blogs. That means hiring writers, either on staff or freelancers, to write and maintain the blog rather than squeezing words out of a tired employee from another department at the end of the day. Not only that, but social media marketing as an industry relies on good writing and good content to help businesses establish their presence and connect with their audience. One of the things I always loved best about freelance writing was the speed in which I got paid. In most cases, if I needed money fast, all I had to do was reach out to a client to offer my services and I could have a payday within 12-24 hours. Or I could hit up one of the freelancer sites and place some bids on a few projects and find myself paid within the week. Which brings me to my next point — income control. The ability to charge what I wanted for my services and find work quickly whenever I needed meant I had firm control over my income at any given time. It wasn’t that difficult to find work when I needed it. I was always able to choose when and if I would be taking on any new assignments, how many, and in most cases when those assignments would start. I often had a laundry list of projects on my plate from happy clients willing to wait until I could get to their needs. Freelance writing is one of the few careers out there in which your income can be tied directly to how hard you work (whereas in many other careers, you can work your tail off and never see an increase in pay). Starting a career in freelance writing requires almost no upfront cost, with the exception of equipment and if you need to take any courses or want to learn any new skills. In fact, most freelance sites offer free or nearly free accounts to freelance writers — meaning you can start bidding on jobs almost right away without losing any money. (Of course, I recommend giving yourself the best possible chance of landing those jobs and winning those bids by investing in career training and learning as soon as you can). And finally, depending on your capacity and the types of projects you’re taking on, you could build up multiple revenue streams. Taking on various jobs in different niches and areas will make you well-rounded and highly referable. Like I said, with freelance writing, your income is directly tied to how hard you work. That means you have to be present and basically touch every step of every single project in order to make any money. It also means you have to put in the time and effort to market your skills, bid on jobs, and actually complete the jobs. Client followup, invoicing — all of that belongs to you. You have to actively go out and get clients, either by putting together a really good marketing strategy or by bidding on various freelance sites (or both). And this isn’t something that can end just because you get a client. Contrary to popular belief, you never get to the point in your freelance writing career in which you can simply sit back and watch the clients roll in. Even with word of mouth referrals, you will still be working hard for every single cent from every single client. Freelance writing can also be very hard to price. There’s a bit of guesswork when it comes to determining how much you should charge for your services as a freelance writer. At least until you have enough experience within a particular niche to know how much time a project will take. This means that with every project you take on, you run the risk of undercharging and you could find yourself having to do double the work just to make ends meet. And this can lead to feeling overworked and burnt out fast. And believe it or not, freelance writing can kill your desire to write for yourself. Part of this is because most freelance projects have to be written to specific criteria, which leaves almost no room for creative expression of yourself. And when I did finally have the time to write something for myself, I often had a hard time getting that creativity flowing again after repressing it for days or even weeks. This meant that hobby pieces of mine went without progress. Blogging presents the opportunity to make a passive, or at least semi-passive, income. You can do this through affiliate marketing, sponsored posts, or even by placing ads on your site. As long as you are producing high-quality content that people are looking for, your blog has the potential to make a substantial income. In fact, once your content is published, the income potential of a blog is hundreds of thousands of dollars in semi-passive income. I say semi-passive because in many cases you must be able to market your blog, just as you would your freelance writing services. You would need to create the graphics and the posting schedule to get those blog posts out in front of an audience. And blogging is not something that you could start and then drop and expect to continue making an income. You would need to continue generating quality content. But the amount of work that blogging entails is significantly less demanding than the work you would do as a freelance writer. Additionally, you can build a community around your brand as a blogger. There are several tools available to you to help with community building, such as allowing comments on your blog posts, sending out email newsletters, or gathering in a Facebook group. 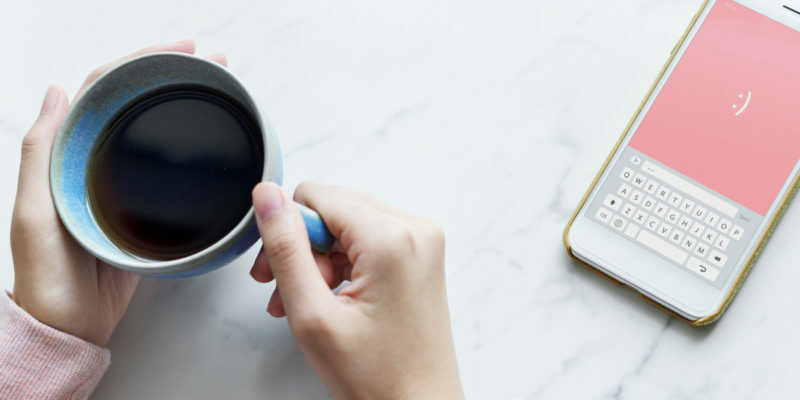 By building a community, you have a much higher chance of helping your audience become loyal readers and they will be more likely to share your content because they can form an emotional attachment to you through your community. One of the hardest things about blogging is just how long it takes to start making any sort of reliable income. Now, I know what you’re going to say… “but this other blog said I could make money fast.” Blah. Yes, it is possible to make money fast blogging. But do you know what I’ve found? The people who make the money fast blogging are the people who are writing posts about how to make money fast blogging. Not because they’re scams (they’re not scams) but because all the tools they post up there are affiliate links. Get a domain (using their affiliate link), sign up for affiliate programs (using their affiliate link), etc. 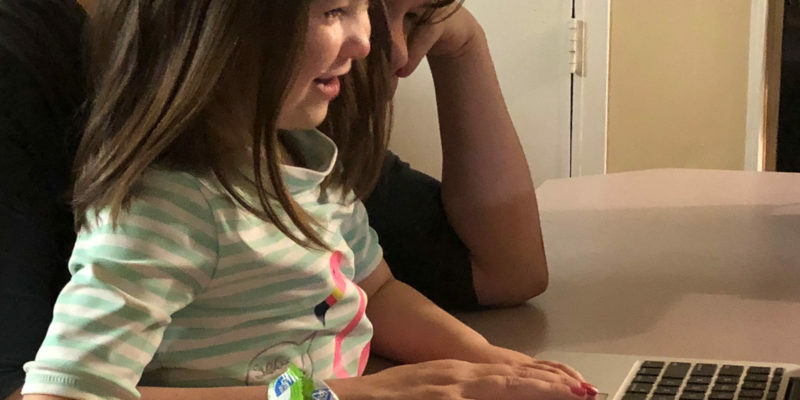 So, of course, they are making money fast — they are targeting people who are looking to make money fast and getting them to sign up for affiliate programs using their own affiliate links. But if you are starting a blog about anything other than starting a blog, it is going to take some time to build up a reliable income. Additionally, there really is no such thing as income control when it comes to blogging. If you find yourself in a pinch or if you’re looking at a sudden, unexpected expense that’s come up, you can just go whip out a new blog post and take it to the bank. The effort you put into a blog today may not see a return for weeks or even months. Finally, blogging isn’t just blogging. You have to learn about marketing, search engine optimization, and networking. You have to build a community, learn new tools, and in many cases learn new software and techniques. 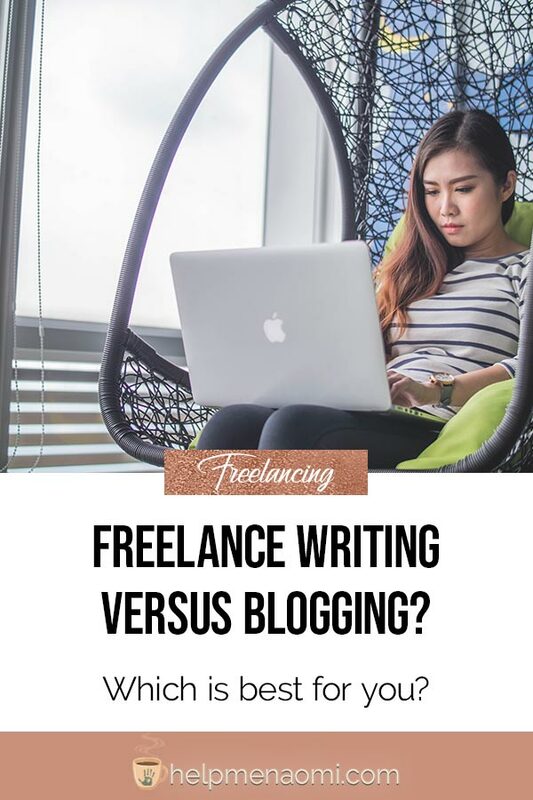 Freelance Writing Versus Blogging – Why not do both? Now, I said earlier that you couldn’t do both freelance writing and blogging as full-time jobs. And I do stand behind that. What I found was that during short breaks between clients, I could sit down and whip out several blog posts in a couple days and schedule them out over a few weeks, so that while I was working on my clients’ projects my blog was still getting updated. And yet, my blog still suffered. Sometimes weeks went by before I could write a new post. And most of the time I wasn’t able to promote my posts outside of initially sharing them to my page on Facebook. Blogging full time means just that — working 35 to 40 hours per week to produce and promote content. Even working part-time would require roughly 15 or so hours per week to dedicate to your blog. Freelance writing can, and often does, have crazy hours because the times you’re not working directly on clients’ projects, you’ll likely be looking for new clients or bidding on new projects. That said, I do believe every freelance writer needs a blog — but for promotional purposes of your business rather than as a separate business. A marketing tool. It’s much easier to stand out in the world of freelance writing if people can see you somewhere other than a freelancing site. My own freelance writing income didn’t really take off until I started blogging. And that’s because when clients start looking to hire a freelance writer, they hit Google first, so it’s easier for them to find you if you have your own site. How about you? Do you have experience as a freelance writer or blogger (or both)? Is there anything you would add to this list? If you were able to turn both into full-time jobs, how were you able to balance them? This was really insightful. A good read.